Danish midfielder who debuted professionally for the Dutch club Ajax in 2010 and made his senior international debut that same year for Denmark. He played for the Denmark under-17 national team from 2007 to 2009. 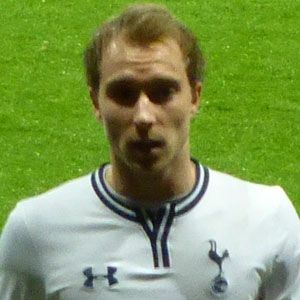 He signed with Tottenham Hotspur of the English Premier League in 2013. He grew up with his family in Middelfart, Denmark. He has a sister named Louise. Early in his career, he received many comparisons to Danish soccer great Michael Laudrup.